Skyland Farm proudly offers the exceptional Holsteiner stallion Copperman for the 2015 breeding season. 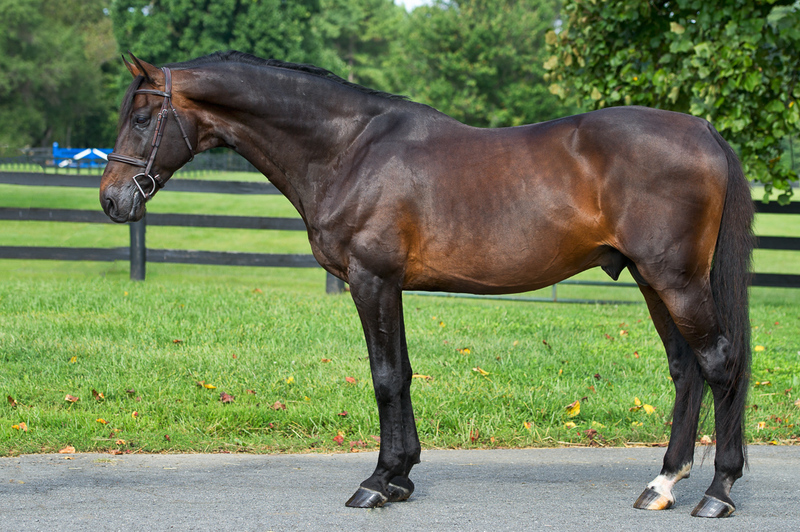 Standing 17 hands, Copperman is a stunning and correct stallion who blends serious athleticism with a generous and willing demeanor. Copperman is a 1997 German-bred by Contender who was imported in 2009 by Skyland Farm after a successful show jumping career in Europe. 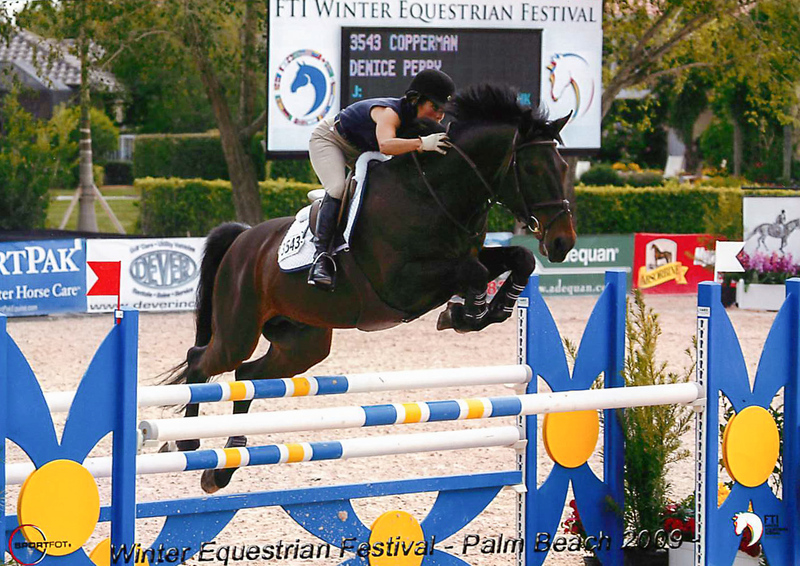 During his U.S. career, Copperman excelled in the 1.40-1.45m classes with Denice Perry before his recent retirement. 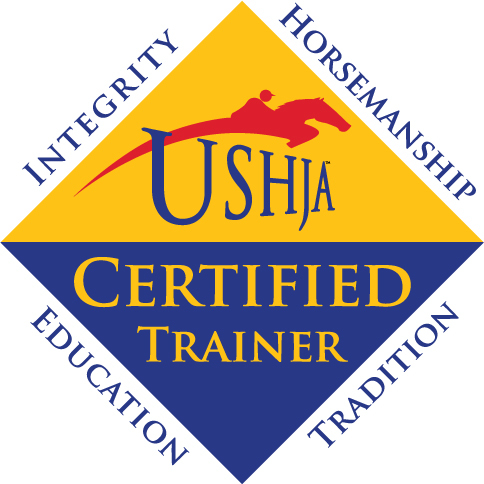 Please click on these links for more information about Copperman’s pedigree, breeding information and offspring. To view Copperman’s talent in competition, please see the videos below of the 2008 Hamburg Derby (Germany) and a German national indoor competition.